I don’t get to read as many books written by Filipino authors as I would like to and I think this is mostly because I enjoy reading certain genres and there aren’t a lot of Filipino books that fall under those. Also, I’m not much of a short story reader so even if a book is in a genre that I’m interested in, I’m less likely to read it if it’s an anthology. So whenever a Filipino title grabs my attention, usually because it’s highly recommended by friends, I want to read it. This is the case with In My Mother’s House by Joni Cham, which my friend Chris loved (see her review here). 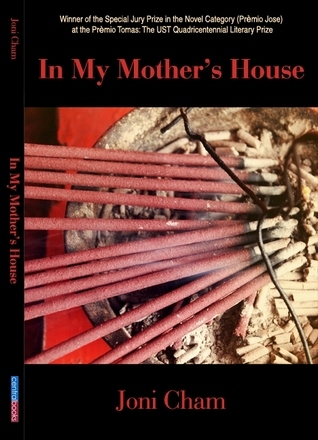 In My Mother’s House guides us across a minefield of personal, familial, and cross-cultural trauma to that place made safer by the finality of death and the possibility of forgiveness and re-birth. The book is only available in Central Books and unfortunately, I wasn’t able to visit one of their branches the last time I was in Manila. I’ll try to drop by and get a copy of this when I come home from Christmas. What about you, what book is at the top of your wishlist? I first heard about The Girl With the Cat Tattoo by Theresa Weir from contemporary romance author Laura Florand. She mentioned that it’s a romance novel with scenes from a cat’s point of view! That seems like such a fun and unique book. I don’t think I’ve ever read anything from the point of view of a cat (or even a dog). 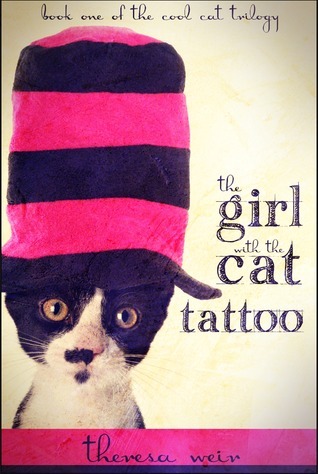 I checked The Girl With the Cat Tattoo’s Goodreads page and it looks like it’s also recommended by Ruthie Knox. I have a feeling I’ll find the matchmaking cat funny. What about you, what book is at the top of your wishlist? Also, please let me know if you’ve read any of Theresa Weir’s books and what you thought of them. I wonder if followers of this blog have noticed that I always publish my Want Books posts on Saturdays? I don’t post every week but I like highlighting books on this meme because I usually go through the posts whenever I’m in the mood to buy some books. I have a Goodreads wishlist but I feel like my Want Books choices are higher priority. Today’s pick comes from a recommendation by my friend Angie of Angieville. Angie’s reviews are so convincing that there have been times when I’ve grabbed a book as soon as I finished reading her review. 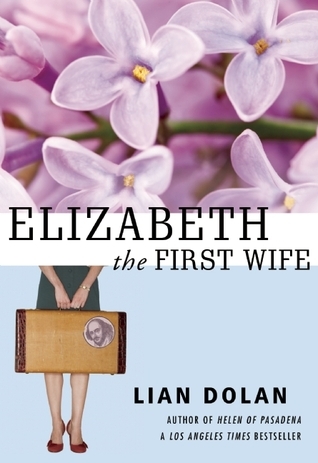 A few months ago, she reviewed Elizabeth the First Wife by Lian Dolan and it’s been on my wishlist ever since. She mentioned that it’s similar to Seeing Me Naked by Liza Palmer and What Alice Forgot by Liane Moriarty, which I both loved so I really want to see if I’ll like Elizabeth the First Wife just as much. Elizabeth Lancaster, an English professor at Pasadena City College, finds her perfectly dull but perfectly orchestrated life upended one summer by three men: her movie-star ex-husband, a charming political operative, and William Shakespeare. Until now, she’d been content living in the shadow of her high-profile and highly accomplished family. Then her college boyfriend and one-time husband of seventeen months, A-list action star FX Fahey, shows up with a job offer that she can’t resist, and Elizabeth’s life suddenly gets a whole lot more interesting. She’s off to the Oregon Shakespeare Festival for the summer to make sure FX doesn’t humiliate himself in an avant-garde production of A Midsummer Night’s Dream. I don’t think I’ve seen anyone else talk about this book so if you’ve read it, let me know what you thought of it. What about you, what book is at the top of your wishlist? Hope you’re all enjoying a good book this weekend. I’m still in the middle of rereading the Kate Daniels series, which I talked about last week, so I’m in an urban fantasy kind of mood. I asked for recommendations in that genre and my friend Estara mentioned the World of the Lupi series by Eileen Wilks. I looked up the first novel in the series, Tempting Danger, and saw that I added it on my Goodreads wishlist last year. Maybe I should bump it up and try to see if this is a series that I’d be interested in following. Lily Yu is a San Diego police detective investigating a series of grisly murders that appear to be the work of a werewolf. To hunt down the killer, she must infiltrate the clans. Only one man can help her – a were named Rule Turner, a prince of the lupi, whose charismatic presence disturbs Lily. Rule has his own reasons for helping the investigation – reasons he doesn’t want to share with Lily. Logic and honor demand she keep her distance, but the attraction between them is immediate and devastating-and beyond human reason. Now, in a race to fend off evil, Lily finds herself in uncharted territory, tested as never before, and at her back a man who she’s not sure she can trust. Have you read or heard of this series before? I would be interested in hearing what you think of it. And what book is at the top of your wishlist? Hope you’re all having a great weekend so far. I’m pretty tired at the moment because I took advantage of my Universal Studios Singapore annual pass again and met a couple of friends there today. I’m sorry for the lack of posts this week, I was swamped with work and was just too tired to do on blog stuff whenever I got back to the flat. And today, I went out with my flatmates for a breakfast buffet and to watch the Phantom of the Opera. So you know, been busy in general. I have been reading good books though – I recently finished Rose Under Fire by Elizabeth Wein (which Michelle and I read together for Novel Gossip), Vessel by Sarah Beth Durst (being discussed for YAckers) and And All the Stars by Andrea K. Höst. 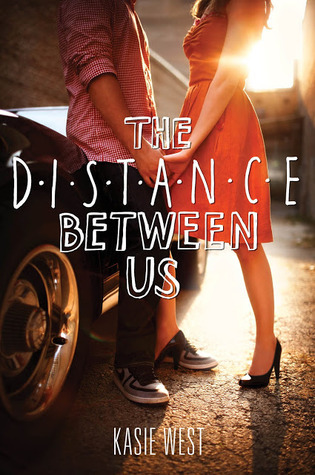 Aside from that, I have been getting some excellent recommendations from friends such as The Distance Between Us by Kasie West. I saw Nomes review it on her blog and I knew right away that I would want to read this. It helps that I like the romantic cover – the sun shining behind the girl, how they’re wearing matching red clothes, holding hands and whoa there, missy, you have your leg in between his. LOL. She knows her mom can’t find out — she wouldn’t approve. She’d much rather Caymen hang out with the local rocker who hasn’t been raised by money. But just when Xander’s attention and loyalty are about to convince Caymen that being rich isn’t a character flaw, she finds out that money is a much bigger part of their relationship than she’d ever realized. And that Xander’s not the only one she should’ve been worried about. This looks like a good one! I’m keeping my fingers crossed that I’ll enjoy reading this as much as Nomes did. What about you, what book is at the top of your wishlist? Also, what book has kept you occupied the past few days? I’m sure most of you have noticed that I’ve been posting more about contemporary novels than fantasy lately. 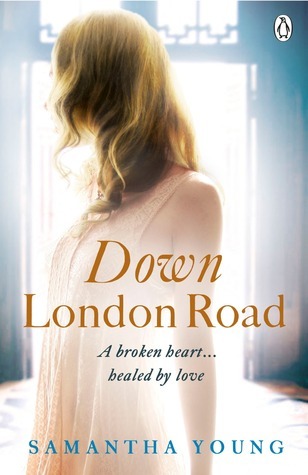 Even my recent Want Books posts have all featured either YA or adult contemporary books. The last fantasy novel that I read was House of Shadows by Rachel Neumeier and I really need to work on a review for that because I thoroughly enjoyed reading it. Looks like I haven’t reviewed a fantasy novel since A Face Like Glass last March! Well, that’s a bit sad. I’ve read a couple of fantasy titles for YAckers discussions, such as Girl of Fire and Thorns by Rae Carson and The Book of Lost Things by John Connolly, but I wasn’t able to review them on the blog. While I do have a number of fantasy titles in my bookshelf and in my Kindle now, it wouldn’t hurt to add more to the pile. 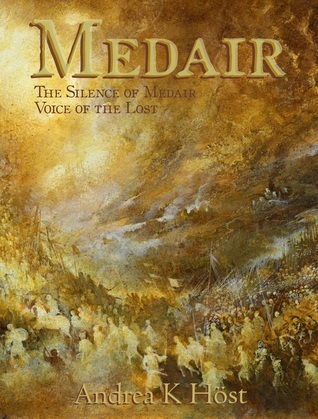 Funny that I mentioned Rachel Neumeier earlier because she highly recommends the Medair duology by Andrea K. Höst. I haven’t read anything by this author yet but I do have And All the Stars and Stray on my Kindle. I’ve been hearing good things about her books from other book bloggers as well. Looks pretty interesting to me. I’ve heard that once I’ve read one of Andrea K. Höst’s novels, I’d want to read the rest. I’ll do my best to read at least one of them this year! What about you, what book is at the top of your wishlist? Would you happen to have other fantasy recommendations that you think I’ll love? 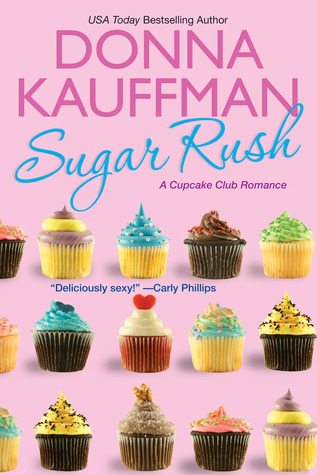 I heard about the Cupcake Club series by Donna Kauffman through Laura Florand. I saw in one of her updates that she was excited to get a copy of the latest book in the series. I immediately looked up the premise for the first book, Sugar Rush, and decided that it looks like a fun contemporary romance, focusing on delicious desserts, much like Laura’s own novels. Also, check out that cute cover filled with all kinds of cupcakes. They look yummy! I’m a huge fan of cupcakes so that’s another reason why I want to read this one. Looks like there are currently four books in the series right now and I’m keeping my fingers crossed that I’ll enjoy reading all of them. What about you, what book is at the top of your wishlist? Any books that you’re curious about because it was recommended by a favorite author? Just for fun, what’s your favorite cupcake flavor? 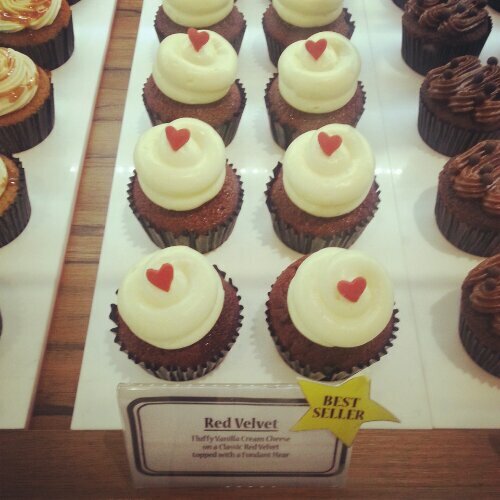 Mine are red velvet and earl grey. Johanna Walker knows what she wants. And that’s a strong, steady, financially secure man who will treat her well and look after her and her little brother, Cole – something her parents have never done. But when she meets the gorgeous Cameron MacCabe, a new bartender at work, Jo can’t deny the instant and undeniable attraction she feels. Cam doesn’t fit into her strict specifications of her perfect partner at all – but for once she is tempted to let her heart rule her head. What about you, what book is at the top of your wishlist? Hope you’re all having a lovely weekend so far. 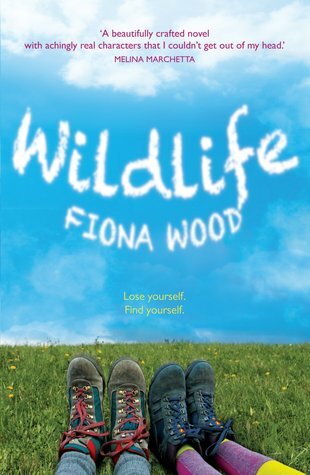 I just finished reading a lovely Aussie YA novel, All I Ever Wanted by Vikki Wakefield, and it left me craving for more beautifully written books from the land down under. 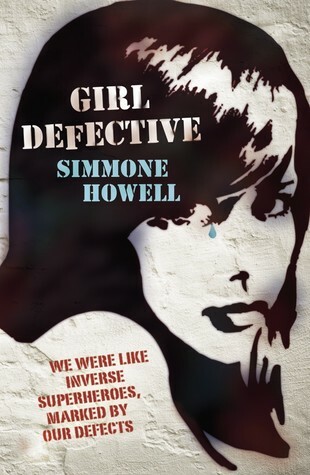 I’ve been hearing nothing but good things about Girl Defective by Simmone Howell so I’m really curious about it. I haven’t had a chance to read any of Simmone Howell’s novels and this seems like a good one to start with. I like the idea of inverse superheroes and that this book seems to be about family and friendship, two of the things I enjoy reading about. It’s summer in St Kilda. Fifteen-year-old Sky is looking forward to great records and nefarious activities with Nancy, her older, wilder friend. Her brother – Super Agent Gully – is on a mission to unmask the degenerate who bricked the shop window. Bill the Patriarch seems content to drink while the shop slides into bankruptcy. A poster of a mysterious girl and her connection to Luke, the tragi-hot new employee sends Sky on an exploration into the dark heart of the suburb. Love is strange. Family Rules. In between there are teenage messes, rock star spawn, violent fangirls, creepy old guys and accidents waiting to happen. If the world truly is going to hell in a hand-basket then at least the soundtrack is kicking. Sky Martin is Girl Defective: funny, real and dark at the edges. I have a feeling I’d go bankrupt if I ever get to visit Australia because I’d want to buy as many books as I can. What about you, what book is at the top of your wishlist?